This is already an old story, but it bears repeating: How you use social media could determine whether you win, or lose, custody of your children. Today, we all use social media. It is how we stay connected to friends and family; how we network; and often, it is how we communicate our feelings and opinions. But here's a warning: Comments and photos posted on social media sites like Facebook, Twitter, Linkedin, Match.com, and Blogs are considered to be admissible evidence in a custody case, and they have become a treasure-trove of information for lawyers, investigators, and the courts. In a contested custody case, your decision about what to post, and the type of pictures to post, could be the difference between keeping your children -- or losing them to the other parent. When we sit down at our computer, there is a false sense of anonymity. When we put our thoughts on a Facebook page, it feels as though we are just talking to our closest friends . . . all 956 of them. The problem is that these "Friends" may include our ex-spouse, or some of his/her family or friends. They may include "Friends" that we don't know very well, or that we don't know at all. Therefore, it should not be surprising that comments or photos we post on social media could fall into the hands of people who might use them to do us harm. In the recent Iowa case of Bates v. Bates (2012) a mother posted on Facebook that the children "have a really bad father." In emails, she threatened to alienate the children from their father; and in one, she stated: "When this is over you'll be lucky if you get to talk to the kids on the phone." The Facebook post and emails were noted by the Court in its decision to take the children from their mother and award physical custody to the father. In one of my own cases, involving spousal maintenance, a husband claimed to be earning very little income, yet we were able to show that he posted, on Match.com, that he earned over $150,000 per year. In another case, a father who denied drinking or partying posted a Facebook photo of himself and friends with liquor bottles in their hands, making gang-signs. And, in a third custody case, a "significant-other" posted a picture of the parents' two year-old daughter sitting, all by herself, atop a very large horse (with no adults nearby). Needless to say, all of these people hurt themselves by the way in which they used social media. 5. Do not post derogatory comments about yourself, your family or friends, or provide information which could be construed as negatively reflecting on your parenting skills. 7. Do not post negative or hurtful comments about your children. 8. Do not post false statements about your job, or your income. 9. Do not post information about your divorce or custody case. Social Media is an important part of our lives, and it's fun. Like fire, it is an extremely useful tool -- but if you're not careful, you can be badly burned. So, here's my last bit of advice, and my best: Always think before you post. Gary Frank is an Arizona Family Law attorney with over thirty years of experience as a courtroom litigator, a mediator, and a Judge Pro Tempore. We deal with divorce, custody, paternity, spousal support and child support, modification actions, enforcement actions, relocation/move-away cases, grandparent and non-parent visitation and custody cases, and all matters relating to families and children. 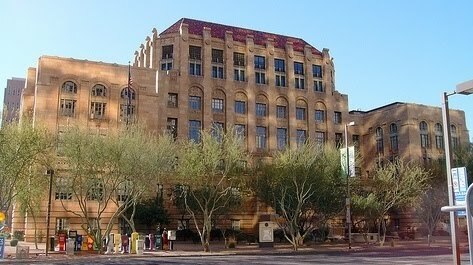 We have offices located throughout the Phoenix Metro Area for your convenience. If you are in need of a consultation, do not hesitate. Call today. You can reach us at 602-383-3610; or by email at gary.frank@azbar.org; or through our website at garyfranklaw.com. We're standing by ready to help you.